I'm sure you don't need me to remind you that 2014 is the centenary anniversary of the outbreak of World War I. There are reminders everywhere, and rightly so, triggering people to contemplate all kinds of things in relation to the war, which is moving outside of living memory for the first time. 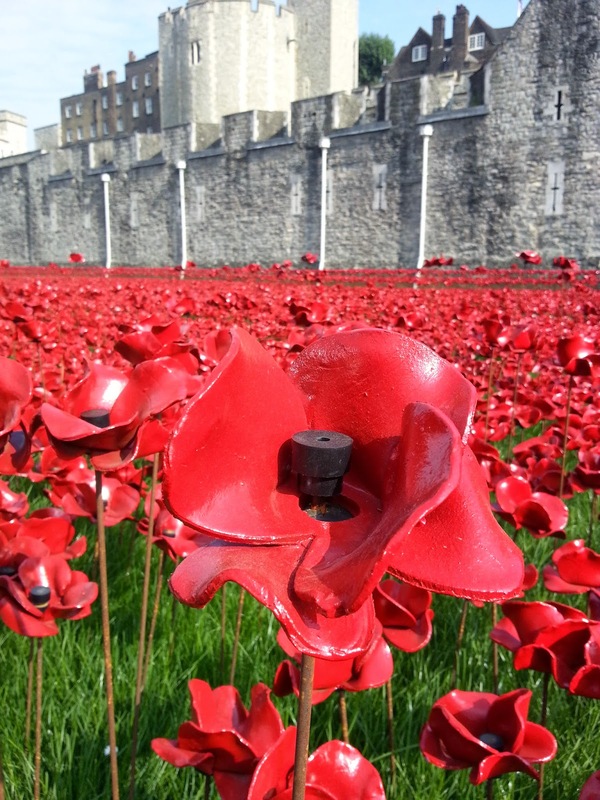 One of the most striking reminders is at the Tower of London, where they have an evolving installation of ceramic poppies in the moat called Blood Swept Lands and Seas of Red, a poppy for every British soldier who died in the war. Why is 100 years significant? How do you want to remember? The idea is that we encourage children and their parents, teachers and support staff, everyone to remember WWI in a way that means something to them, rather than being told about what happened from books. By thinking about and answering the questions, they are doing more than just learning about history, they're making it part of their own experience. And it dawned on me that this generation of learners will engage with the war in a way other generations haven't: I read WWI poetry at school but I didn't understand it, couldn't visualise some of what the soldiers went through, maybe didn't even care what happened because I was young and it all seemed like an impossible thing anyway. But 2014 feels different. As I sat and listened to primary school aged pupils reading their perspective on the questions above, I realised that perhaps more than most recent generations, they understood the responsibility to remember. Someone pointed out that we need to look back on the mistakes of the past so we can learn from them and that was especially poignant when you consider WWI was meant to be 'the war to end war'. Another thing the day brought home to me was the sheer number of soldiers who died. 888, 246 is a pretty hard number to visualise but when you start to think that every poppy planted in the moat represents a person, it gets easier. 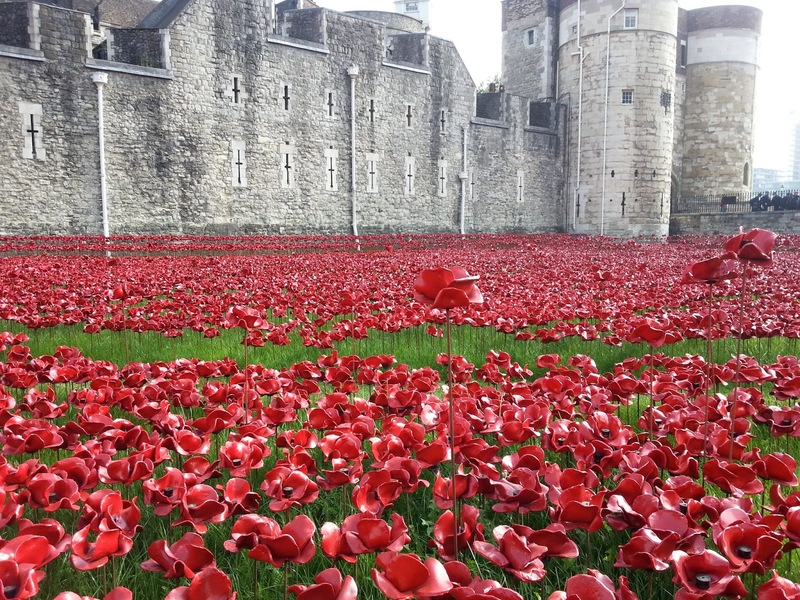 Standing on Tower Hill, gazing out at the sea of red, I began to consider the sons and husbands and fathers and uncles who went off to war and never came home as real people, rather than a number or statistics. I also learned that the Tower keeps a Roll of Honour - a list of Commonwealth military fatalities from WWI - that is read out at the close of every day. The Last Post is played at the end, another way of remembering, and simply watching some of the videos of this simple roll call made the hairs on my arms stand up. We should remember because these were real people, giving their lives for the freedom of others, regardless of whether it was right or wrong. 100 years is significant because there is no one alive now who was there - it's our job to keep the stories of those who lived then going. 100 years is a milestone that helps us to share these stories. I want to remember by helping to plant the poppies and by keeping in my mind that every single one of them represents someone's son. How about you? What are your answers? Thought-provoking post - thank you, Tamsyn! You might be interested to know about Every Man Remembered, the British Legion, Poppyscotland and Commonwealth War Graves Commission campaign to make sure every person who died in WW1 is remembered. There is a website and you can choose someone to commemorate - it could someone from your family, someone with the same name or someone you have no connection with. Making a donation is optional. It's one way to make a personal connection with the past. Thanks, Sue. I've been thinking about the war a lot since my visit. I think I'll have to go back when all the poppies are planted, just to see them all. Carol - that's heartbreaking and lovely yet somehow right too. Thanks for pointing it out - I didn't know about that.